-Contains three ABS Build Plates compatible with the MakerBot Replicator Z18. -Designed to be covered with Build Plate Tape for the MakerBot Replicator Z18 3D Printer. -Maximize your print time by changing out Build Plates when prints are complete. To remove your Build Plate, turn the latches on the front of the build platform’s aluminum base horizontally, pull the Build Plate forward, then lift to release it. NOTE: Build Plates may warp over time, especially when removing larger prints. 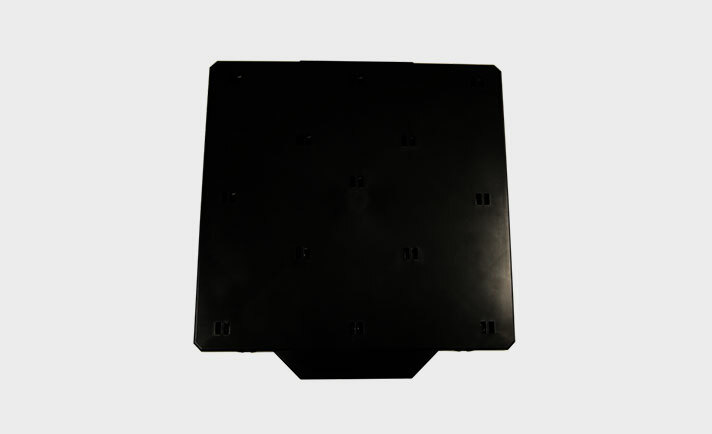 Purchase spare Build Plates to ensure flatness.